Mercury Conjunct Uranus natal gives a brilliant mind, that of an eccentric genius. Ideas come thick and fast out of nowhere, aided by a keen intuition and sometimes psychic ability. These flashes of insight are processed at lightning speed, with abstract reasoning. Often times, the speed of mental activity can lead you to jump to conclusions. If your intuition is spot on, then this is a good thing. However, the lack of methodical analysis can lead to incorrect assumptions, changeable points of view, or boredom once the fascination with a subject or new idea has worn off. Physically, you should be nimble and clever with your hands, with quick reflexes mirroring the rapid-firing of neurons in your brain. The original and unorthodox nature of your thought processes can manifest as a talent for the sciences or other technical subjects, also occult fields such as astrology. Interestingly, Mercury is the traditional ruler of astrology, while Uranus is its modern ruler. One thing to be careful of with the high vibrational energy of this aspect, is that you may suffer from nervous irritability and impatience. The key to harnessing the best of this sometimes erratic energy, is to learn to slow down and meditate when the pace of life becomes too quick. In this way, you can reduce the risk of mental exhaustion or accidents. 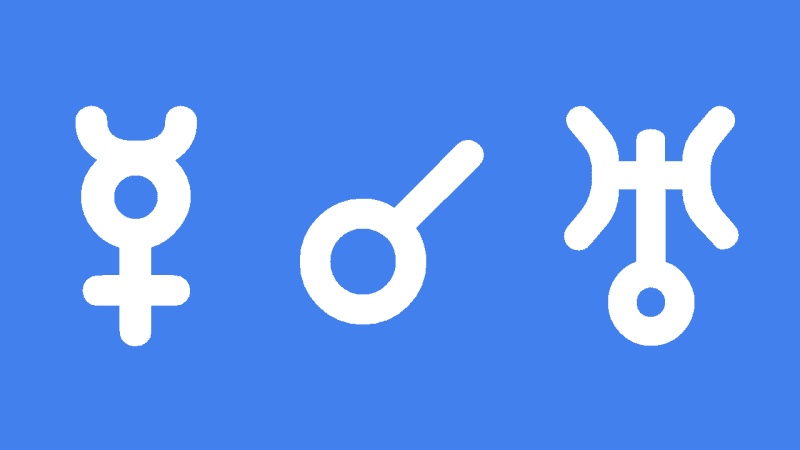 Mercury conjunct Uranus transit stimulates your thinking, adding excitement to your interactions and daily routines. The electrifying influence on your brain makes this an ideal time for any mental or creative work requiring originality. Increased open-mindedness and intuition can lead to flashes of insight and breakthroughs. Routine study and concentration is likely to be disrupted because you are more easily distracted. However, these are excellent conditions for scientific or technical fields like science and mathematics where the grasping of concepts is more important than memorizing formula. Strange or occult fields can be better understood and this includes astrology, with the transitional ruler being Mercury and modern ruler Uranus. Unexpected news may come your way but this transit alone does not imply whether it be good or bad news. Your reaction time is rapid which is good for dexterity but can cause problems like jumping to conclusions or interrupting conversations. Your speech could even become abrupt as you blurt out whatever comes to mind. Any nervous conditions would be exacerbated like fidgeting, nail-biting or muscle spasms. This is a good time for gaining higher awareness and experimentation, but not a good time for making plans, serious negotiations or sticking to routine. Errors in judgement and spelling mistakes are more likely. Remain conscious of the tendency to become distracted when driving or using machines. Computers, electronics and appliances may malfunction. Personal interactions are affected by your erratic thought and communication style but this can lead to interesting discoveries about yourself and others. New people may enter your life and would likely be different or exciting in some way. You will be more accepting of unusual people and such chance encounters will provide valuable pieces of information. Although new friendships will be exciting they are likely to be fleeting unless other transits indicate otherwise. Tammy Wynette 0°07′, Eric Burdon 0°20′, Leonardo DiCaprio 0°21′, Joseph Gallieni 0°21′, Ebenezer Sibly 0°23′, Angel Resendiz 0°24′, Walter H. Diamond 0°30′, Ian McKellen 0°39′, William Lilly 0°43′, Omar Sharif 0°47′, Heinrich Caro 0°48′, Paul Verlaine 0°52′, Pierre-Auguste Renoir 2°40′. If you would like to improve your familiarity just keep visiting this site and be updated with the latest gossip posted here. Not sure if this is relevant because already have a moon in neptune. But if feel squeezed by soceity or put on the spot, i’ll drop out ( it’s a top secret operation) and take the long way round to get what i want or problem solve. AND Jupiter trines Mercury+Uranus. TOO MUCH. During the moment/transit with this kind of nature, meditation or walk in fresh air, is a must. Just so keeping balance, because once imbalanced, it will take more time to come back to balance. Quick feedback on this: I had the most unexpected news on 31 March ….Uranus rules my 7th and 8th and Mercury rules my 3rd…. well I got a text message from an older love with who I haven’t been in touch in 2 years…just like that out of the blue. This conjunction was opposing my natal Pluto which is natally square my venus and I felt so much that energy at the time this person was important for me …I guess I can say I am completely free from this venus-square energy when it comes to this person. I have this in my progressed chart, in Leo…quincunx Saturn in Cap…still… yep there is a fine line between genius and insanity, not sure I am either, so hopefully neither, but still a fine line lol! yep, depends on the day and who Im communicating with, it seems lol! Reply…” settle down…I dont understand what your problem is, I am patient I just want done now what I want done now the way I want it and then you tell me to.just wait until you finished your cuppa, when I had been patiently waiting for half an hour for you to wake up and didnt so I made it for you to wake you up because I want to get on with it and other things, its my life too ya know!!!??? Reply “now I am losing my patience, for someone who is always reminding me time is an illusion and to stop rushing my way to the end of my life, what has the time got to do with anything!!? Today, at last found a place I want to rent, out of the blue on internet, been waiting for nearly 2 years, now that is a Mercury, Uranus aspect. If its as good as it looks will ask for contract to start May 19th, the stable Saturn/Uranus trine. Its near my father who I don’t see often because live too far away now, and he is elderly and ill. I like positive astrology. His 84th birthday 6 April, Saturn stood still at 27 degrees he is now aged 84, my Pluto will soon have the 27 degree leo node on it, and I should be near my Saturn for the final countdown methinks. What do you think of that Jamie??? Please will you write about the forthcoming Uranus to Taurus astrology as I know its big. And…. did you have a good holiday and are you still in lurve.? Saturn return plus this Uranus conjunct mercury = anxiety snaking through my veins speeding up my heart beats sinking fangs into nerves, synapses snap. Interrupted thought patterns; impulse on Max, drop the lover, drop the occupation, paint gurus on the fridge ^_^ meditate Alice Coltrane avoid breakdown, increase faith that intuition guides not the spontaneity of my fried nerve spasms (mercury ruler of 1st & 9th) soul searching YouTube School of Life Philosophy learnings vedic astrology diving. Surviving on music. several car and computer breakdowns (and worse I won’t discuss here). My anxieties adverse to old friendships. I shed them. Blurting my mind. Abrupt (anyways) but intensely (now a days). Over heard a conversation regarding my eccentricity. Avoiding pressurized religious conversions #NotMyPersonalSavior. No offense to anyone’s choice of flavors. No medication for anxiety only meditation and it works when I do. And I float through and I’m open to regrets of tomorrow’s and forgets of years to come. Live wire. I forgive myself already. I’ve studied my path and still feel swept up in the winds. Humble Kendrick Damn. I am, seated and oming. Travel on my heart but fear won’t let me take part. There’s no– All the Answers– but a good sense of direction even with map in hand, natal wheel on app, psychic, clairvoyant, astrologer on dial; alludes me. Allured into recognizing the truth of The Kills sermon that “Time ain’t gonna cure you honey time don’t give a shet… Times just gonna hit on you”… Sooo delight in warmth of sun, negotiate strange manias (I can’t afford expensive sadness) and fall in love with observations of the living. Is there an added dimension to this aspect with Uranus in its dignity in Aquarius, and Mercury in its dignity in Virgo? According to Isabel Hickey all aspects between Mercury and Uranus are good for they tune the conscious mind to the Universal mind. Uranus being a higher octave of Mercury, tunes the mind to a higher octave, and speeds up the perception and quickens the intuition. The added dimension could be the Age of Aquarius and Regulus in Virgo. Interesting aspect to have in anyone young enough to harness its energy.